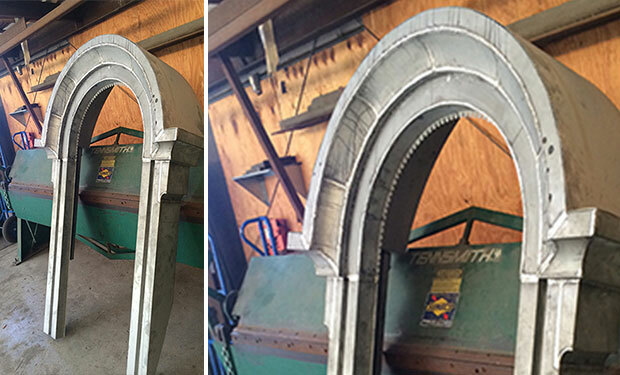 Kehoe Iron Works has a long history. The land the building sits on started as a garden, was used by the military, then developed for residential and commercial use before it became Kehoe Iron Works. 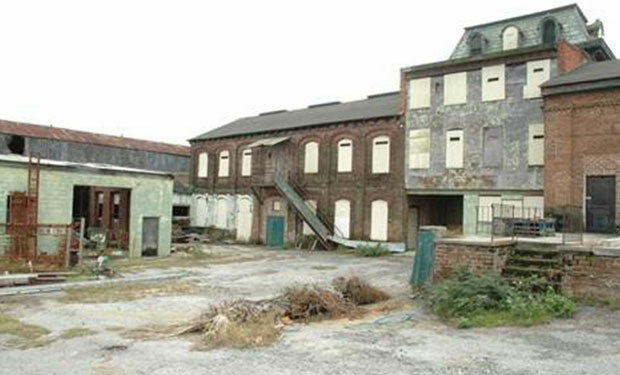 In the 1980s, the site was designated a brownfield due to perceived environmental contamination and sat vacant for 28 years. Ideas started to percolate in 2010, and it was decided to preserve the legacy of the Kehoe Iron Works building and bring this section of Savannah back to life. 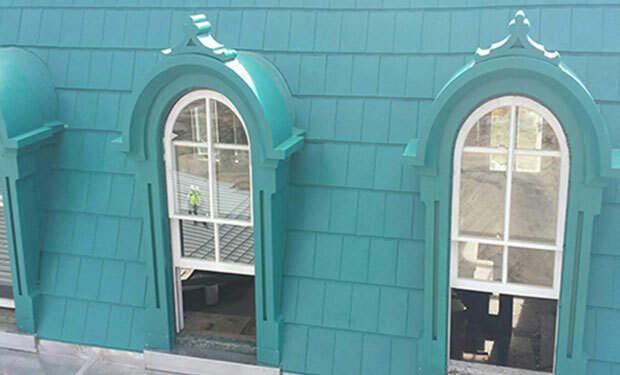 Metalcrafts, a Tecta America Company, was part of this renovation and started their part of the project in 2014 replacing the metal shingles and ornamental pieces on the central center section. 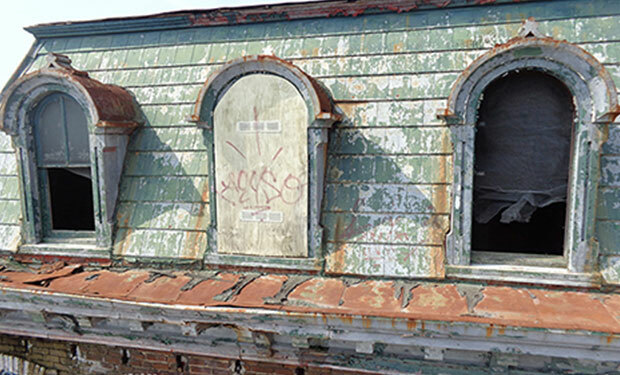 Their scope included replacing the iron railing on top of the roof. Clark and Son, a steel fabricator, was great to work with on the project fabricating and installing the railing system. 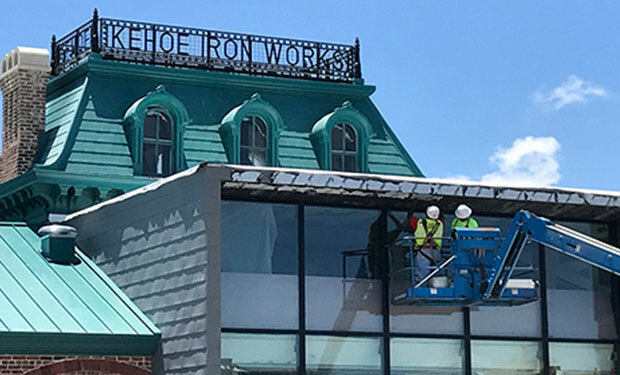 Metalcrafts custom fabricated and installed the metal section of the Kehoe Iron Works main building to include the lettering, roofing, railing and window framing. Metalcrafts installed a Firestone platinum TPO Roof over the glass entry and original area and fabricated and installed cladded wood shutters, stainless steel clasp hinges and flat bar straps on the large windows. 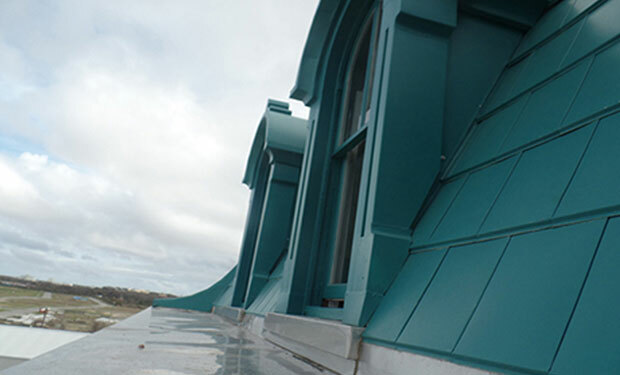 Metalcrafts furnished and installed sheet metal flashing and trim, Zinc metal roof and wall panels (interior and exterior). To read the entire article about the Kehoe Iron Works renovation, please click here.